Vainglory is a MOBA game gaining in popularity by the day. Learn how you can make money betting on this popular eSport. Betting on sports events has been present for many years and it is nothing new to see people winning big sums of money by betting on sports like, tennis, basketball and every other sports available. With the introduction of online betting, the betting has become even more widespread than it used to be. One of the latest trends when it comes to the world of betting is the betting on the eSports events taking place all over the world. Considering the number of people that follow and participate in these tournaments it is no wonder that bookmakers from all over the world, including the biggest names of the betting industry, have included the eSports tournaments into their betting offer. One of the eSports that has been included in the betting offer is the Vainglory professional video gaming. Vainglory is the video game that was released in 2014. The game was developed and released by Super Evil Megacorp. This game can be characterized as a MOBA game or the multiplayer online battle arena video game. While playing this game, the player's main objective in the game will be to destroy the enemy base. In order to achieve that and to win the Vainglory match teams will have to control the path that actually connects the bases and that is a battle field where two teams crash. The game will also provide the players with the opportunity to explore the jungle around the battle field in which many different monsters can be found and killed in order to get points that will improve the players' abilities and skills that he or she will be later using when facing other teams. The duration of the game is limited to 20 minutes which is something that is quite unique for this game. While some other MOBA games will not limit the time of the single match, Vainglory imposes that limitations and if the game is not finished in that time a monster will appear and who ever gains control over the monster will have huge advantage over the opponent. The selection of characters that the players can choose in order to play this game is also one of the strongest features of this game. The game will provide 27 different heroes that players can choose when setting up their playing profile. Just like any other MOBA game in the world, Vainglory also demands a lot of attention, dedication, and hard work in order to be successful while playing the game. Even though Vainglory is the MOBA game available only for mobile devices, it has gained huge number of followers. Throughout the years, it has transitioned from the amateurism to professionalism and today all over the world the Vainglory tournaments are being organized. Today, Vainglory has more than 1.5 million active players and that number is constantly rising and with such popularity it was clear that it will transition to the professional eSport. Just like it was the case with the Dota 2 and League of Legend professional earnings, the earnings when it comes to the Vainglory professional playing was not special in the initial stages of the development. However, the times are changing. Vainglory tournaments are getting more and more attention especially because it is the only MOBA game available for mobile devices and consequently, the earning of the professional Vainglory players are getting bigger and bigger. During the initial stages of the professional development of the Vainglory as an eSports, the Vaingloryleagues were organized by the players themselves. However, soon after several matches, it became clear that huge number of people are actually streaming those matches and are interested in the further development and today Vainglory has become of the MOBA games features at many different eSports competitions throughout the entire world. When it comes to the betting on Vainglory matches, it must be said that Vainglory tournaments are not that popular as for example the tournaments of games such as Dota 2 or League of Legends. Mostly because of that, the betting offer that the bookmakers offer on the Vainglory tournaments and matches is the traditional offer such as the winner of the match and similar betting offers. Since the summer is the time when there are no Vainglory tournaments, the betting options for this eSport are reduced to minimum. However, during the early December the new season is starting over. However, there will be a competition for which the betting will be open and that is Evil 8. The format of the Evil 8 competitions provides fans with bigger number of betting opportunities because the best teams will be playing against each other more often than it is the case with the standard Vainglory leagues. During this competition a winner is decided through best of 5 series and that provides more matches for the fans to bet on. How to Get Started With Vainglory Betting? Getting started with the betting on the Vainglory matches has proven to be very simple process that will not take a lot of time. Just like betting on the matches and tournaments of Dota 2 or League of Legends, the betting on the Vainglory matches requires that you create an account on some of the betting sites provided by the bookmakers. Before you sign up you will have to make sure that that bookmaker is actually providing eSports betting. Once you have done what was mentioned previously, you will have to make the deposit, that is, you will have to transfer certain amount of money into your account that you have created with the bookmaker sites. The most important thing to remember is to find the bookmaker that provides the opportunity for you to bet on Vainglory matches. Many bookmakers will provide eSports betting. However, not all bookmakers will provide betting options for Vainglory matches and the main reason for that is the fact that Vainglory matches are not as popular as Dota 2 or League of Legends matches. 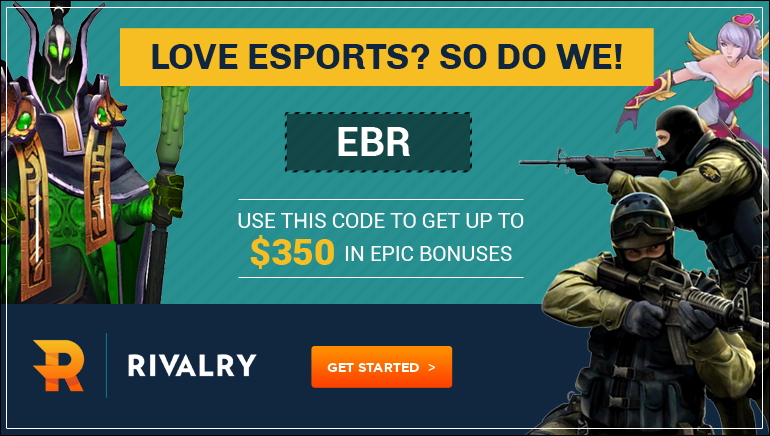 While some other eSports betting offers provide the opportunity to play fantasy matches, this option is not provided for Vainglory as an eSports.